Genetics & Molecular Biology Journal is an international scholarly, peer reviewed journal presenting original research contributions and scientific advances related to the field of genes, genetic variation and macromolecules. Molecular biology is the study of development, structure and function of macromolecules vital for life. It deals with the molecular basis of biological activity and overlays genetics and biochemistry. The journal Scope Encompasses structure & functional studies of bio molecular, Cell Biology, Microbial genetics, Biological Molecules, molecular immunology, genetics, genetic disorders, cellular biology and molecular research. It also includes biochemical and molecular influence on genetic material. Genetics & Molecular Biology broadly covers the domains of life, plants, animals, microorganism and human. The journal accepts manuscripts in the form of original research article, review article, short communication, case report, letter-to-the-Editor and Editorials for publication in an open access platform. The Journal is using Editor Manager System for easy online tracking and managing of the manuscript processing. Cell biology is a branch of biology that studies cells – their physiological properties, their structure, the organelles they contain, interactions with their environment, their life cycle, division, death and cell function. Research in cell biology is closely related to genetics, biochemistry, molecular biology, immunology, and developmental biology. Gene technology is defined as the term which include a range of activities concerned with understanding of gene expression, advantages of natural genetic variation, modifying genes and transferring genes to new hosts. Genes are found in all living organisms and are transferred from one generation to the next.Gene technology encompasses several techniques including marker-assisted breeding, RNAi and genetic modification. Only some gene technologies produce genetically modified organisms. We use the most appropriate technique, or combination of techniques, to achieve the desired goal. Gene Technology, Journal of Genetic Syndromes & Gene Therapy, Human Genetics & Embryology, Journal of Next Generation Sequencing & Applications, Biochemica et Biophysica Acta - Gene Structure and Expression, Gene Therapy Press, Conservation Genetics, Clinical Epigenetics, Genes, Current Genetics, Gene Expression. Bioinformatics is the application of computer technology to the management of biological information. Computers are used to gather, store, analyze and integrate biological and genetic information which can then be applied to gene-based drug discovery and development. Bioinformatics tools aid in the comparison of genetic and genomic data and more generally in the understanding of evolutionary aspects of molecular biology. At a more integrative level, it helps analyze and catalogue the biological pathways and networks that are an important part of systems biology. In structural biology, it aids in the simulation and modeling of DNA, RNA, and protein structures as well as molecular interactions. Comparative genomics It is an exciting new field of biological research in which the genome sequences of different species - human, mouse and a wide variety of other organisms from yeast to chimpanzees are compared. Genetic mutation is a permanent change in the DNA.Mutations may or may not produce changes in the organism.Hereditary mutations and Somatic mutations are the two types of Gene mutations.Former type is inherited from the parents and are present in every cell of the human body whereas latter type may occur at some point of life time due to environmental factors..
Genetic Medicine, Genetic Engineering, Mutation Research/Genetic Toxicology and Environmental Mutagenesis, European Journal of Human Genetics, Genetics in Medicine, Human Mutation, Human Molecular Genetics, Genetic mutations Journals, Journal of Genetic Counseling, Genetic Journals, Genetic Disorder Articles, Journal of Genetic Mutation Disorders. Gene expression is the process by which information from a gene is used in the synthesis of a functional gene product. These products are usually proteins which functions as enzymes, hormones and receptors. Genes which do not code for proteins such as ribosomal RNA or transfer RNA code for functional RNA products. Gene expression is the process by which the genetic code the nucleotide sequence of a gene is used to direct protein synthesis and produce the structures of the cell. Genes that code for amino acid sequences are called as structural genes. Gene Technology, Journal of Next Generation Sequencing & Applications, Journal of Data Mining in Genomics & Proteomics,Journal of Proteomics & Bioinformatics, Transcriptomics: Open Access, Critical Reviews in Eukaryotic Gene Expression, Gene Expression, Gene Expression Patterns, Brain research, Gene expression patterns, Critical Reviews in Eukaryotic Gene Expression. Molecular cloning is a set of techniques used to insert recombinant DNA from a prokaryotic or eukaryotic source into a replicating vehicle such as plasmids or viral vectors. Cloning refers to making numerous copies of a DNA fragment of interest, such as a gene. 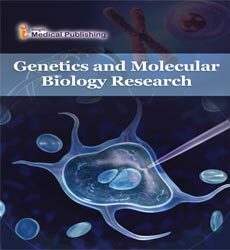 Gene Technology, Cloning & Transgenesis, Journal of Next Generation Sequencing & Applications, Journal of Data Mining in Genomics & Proteomics, Transcriptomics: Open Access, Stem Cells and Cloning Advances and Applications, Clinical Genetics, Clinical Genetics, Forensic Science International: Genetics, Advances in Genetics. Molecular genetics is a branch of genetics and molecular biology that deals with the structure and function of genes at a cellular and molecular level. One of the main achievements of molecular genetics is that now one can have the clarity about the chemical nature of the gene. Molecular genetics is concerned with the arrangement of genes on DNA molecule, the replication of DNA, the transcription of DNA into RNA, and the translation of RNA into proteins. Gene amplification, separation and detection, and expression are some of the general techniques used for molecular genetics. It is the branch that explores the relationship between the immune system and genetics. The term immunogenetics is based on two words immunology and genetics. Immunology deals with the biological and biochemical basis for the body's defense against germs such as bacteria, virus and mycosis. Immunogenetics: Open Access, Journal of Antivirals & Antiretrovirals, Journal of Clinical & Cellular Immunology, Journal of Data Mining in Genomics & Proteomics, Immunogenetics, International Journal of Immunogenetics, Immunology and Immunogenetics Insights, International Journal of Immunogenetics. Genetic Syndromes & Gene Therapy, Phylogenetics & Evolutionary Biology, Genetic Disorders & Genetic Reports, Cell & Developmental Biology, Journal of Social, Evolutionary, and Cultural Psychology, Journal of Evolutionary Economics, Evolutionary Computation, Genetic Programming and Evolvable Machines, Genetic Counseling, Genetic Epidemiology. The methods used to identify the locus of a gene and the distances betweengenes. Cloning is defined as the processes used to create copies of DNA fragments, cells or organisms. Cloning is commonly used to amplify DNA fragments containing whole genes, but it can also be used to amplify any DNA sequence such as promoters, non-coding sequences and randomly fragmented DNA. It is widely used technique of biological experiments and practical applications including genetic fingerprinting to large scale protein production. Gene Sequencing is the process of determining the precise order of nucleotides within a DNA molecule. It includes any method or technology that is used to determine the order of the four bases—adenine, guanine, cytosine, and thymine—in a strand of DNA. Genetic Engineering is a technique of controlled manipulation of genes to change the genetic makeup of cells and move genes across species boundaries to produce novel organisms. Current Synthetic and Systems Biology, Gene Technology, Genetic Disorders & Genetic Reports Hybrid, Advances in Genetics, BMC Medical Genetics, BMC Genetics, Conservation Genetics, Epigenetics, Infection, Genetics and Evolution, Journal of Assisted Reproduction and Genetics, Neurogenetics, Psychiatric Genetics. Molecular Medicine strives to promote the understanding of normal body functioning and disease pathogenesis at the molecular level, and to allow researchers and physician-scientists to use that knowledge in the design of specific tools for disease diagnosis, treatment, prognosis, and prevention. Molecular biology is the study of biology at the molecular level. The field overlaps with other areas of biology and chemistry, particularly genetics and biochemistry. Cell biology studies the properties of cells including their physiological properties, their structure, the organelles they contain, interactions with their environment, their life cycle, division and death. Molecular and cellular biology are interrelated, since most of the properties and functions of a cell can be described at the molecular level. Molecular and cellular biology encompass many biological fields including: biotechnology, developmental biology, physiology, genetics and microbiology. Cell and Developmental Biology, Journal of Cell Biology, Nature Reviews Molecular Cell Biology, Nature Cell Biology, Current Opinion in Cell Biology, Trends in Cell Biology. The process by which amino acids are linearly arranged into proteins through the involvement of ribosomal RNA, transfer RNA, messenger RNA, and various enzymes. Cell & Developmental Biology, Advancements in Genetic Engineering, Protein Interaction Viewer, Molecular cloning & genetic recombination, Current Synthetic and Systems Biology, Genome Biology, Protein Journal. Chromosomes and Gene expression is the process by which information from a gene is used in the synthesis of a functional gene product. These products are usually proteins which functions as enzymes, hormones and receptors. Genes which do not code for proteins such as ribosomal RNA or transfer RNA code for functional RNA products. Gene expression is the process by which the genetic code the nucleotide sequence of a gene is used to direct protein synthesis and produce the structures of the cell. Genes that code for amino acid sequences are called as structural genes. Gene Technology, Journal of Next Generation Sequencing & Applications, Journal of Data Mining in Genomics & Proteomics, Journal of Proteomics & Bioinformatics, Transcriptomics: Open Access, Critical Reviews in Eukaryotic Gene Expression, Gene Expression, Gene Expression Patterns, Brain research, Gene expression patterns, Critical Reviews in Eukaryotic Gene Expression. Autoimmune disorders are caused when immune system of the body reacts, against our own body, thus leading to many autoimmune disorders. There are several autoummune disorders they are celiac diseases, diabetes mellitus, graves diseases. DNA is a molecule that contains the instructions an organism needs to develop, live and reproduce. These instructions are found inside every cell, and are passed down from parents to their children. DNA is made up of molecules called nucleotides. Each nucleotide contains a phosphate group, a sugar group and a nitrogen base. Down Syndrome & Chromosome Abnormalities, Fungal Genomics & Biology, Gene Technology, Genetic Disorders & Genetic Reports Hybrid, Genetic Syndromes & Gene Therapy, Advances in DNA Sequence-Specific Agents, Artificial DNA: PNA and XNA, DNA Reporter. A genetic disorder is a genetic problem caused by one or more abnormalities in the genome, especially a condition that is present from birth. it occurs as a result of altered gene or by set of genes. Abnormalities can also be small as single base mutation. They can also involve addition or subtraction of entire chromosome. There are four groups of genetic disorders like single gene disorders, chromosome abnormalities, mitochondrial disorders and multifactorial disorders. One of a group of molecules similar in structure to a single strand of DNA. The function of RNA is to carry the information from DNA in the cell's nucleus into the body of the cell, to use the genetic code to assemble proteins, and to comprise part of the ribosomes that serve as the platform on which protein synthesis takes place. The passing on of traits from one generation to another generation. Human genetics is the study of inheritance in human beings. Human characteristics are inherited from parents to offspring in discrete unites called genes. Genes consist of specific information coded in the chromosome that consists of segments of chromosomes. Human genetics includes a variety of overlapping fields like classical, molecular, biochemical, population, developmental, clinical and cytogenetics.